There’s a small list of landmark motorcycles: those that moved the game forward, upsetting expectations and changing the market for ever. 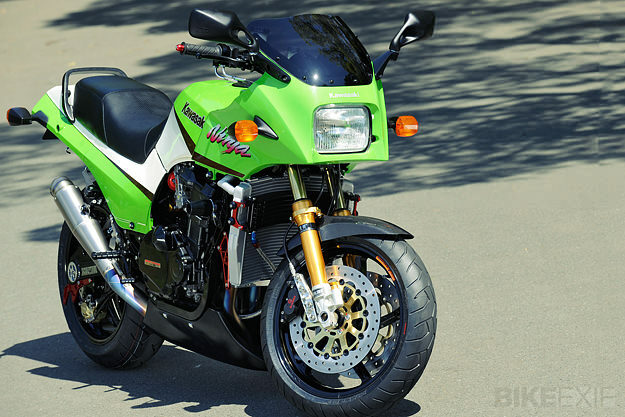 In the 1980s, one of those bikes was the Kawasaki GPz900R. This immaculate resto-mod from Tokyo’s AC Sanctuary is a reminder of how good that bike was. For starters, it was lighter than the competition, had equal power from a smaller engine, and was the first production bike to top 150 mph (240 kph). Never mind that the engine was temperamental, the carbs iced over and the choke operated on a hair-trigger. 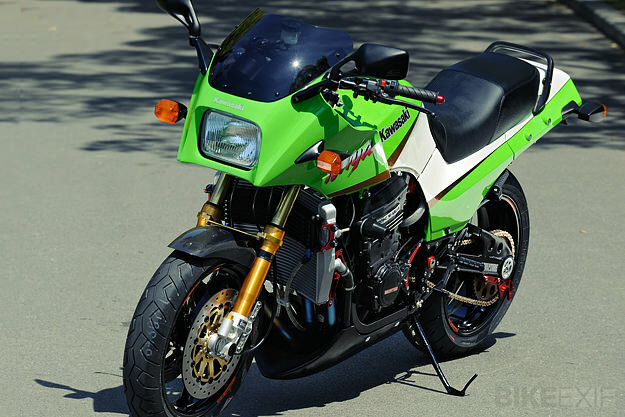 The GPz900R could smoke every other bike on the road. This AC Sanctuary GPz900R is even faster, though: The Japanese performance junkies have upgraded virtually every component on the bike, while keeping its looks and essential character. That means a crate-load of top shelf Nitro Racing parts, including frame strengthening, hand controls and the entire exhaust system. The 16-valve water-cooled engine has been rebuilt and blueprinted, and Öhlins suspension fitted both front and back. The brakes are now a mix of Brembo, Nissin and Sunstar components, and the 17” wheels are from OZ racing. 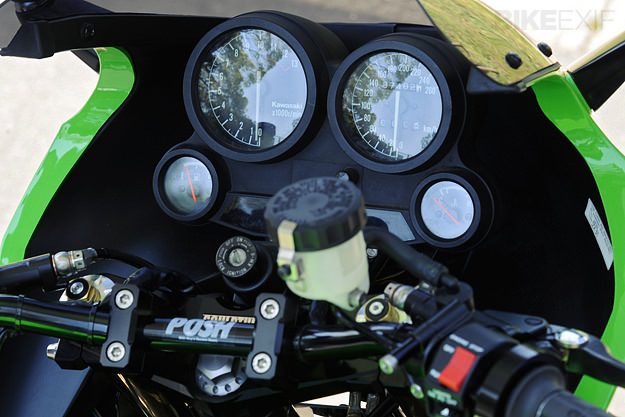 The sweet spot of popularity for customs is still a few years behind the era of bikes like the GPz900R, but it will surely catch up soon. 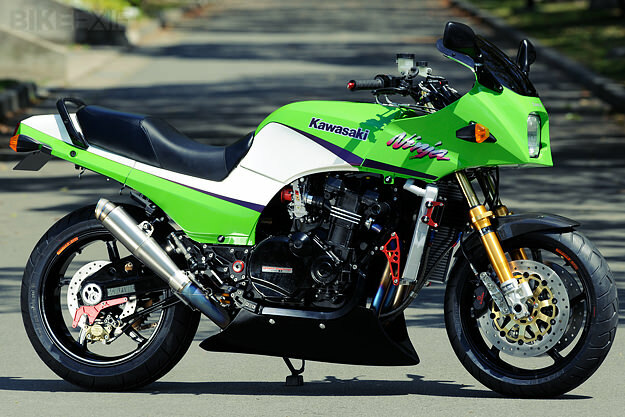 Treat this one as being a little ahead of the curve—and way ahead of most retro superbikes in the performance stakes.